When it comes to preparing for a wedding, choosing a hairstyle should be right up there on your to do list. 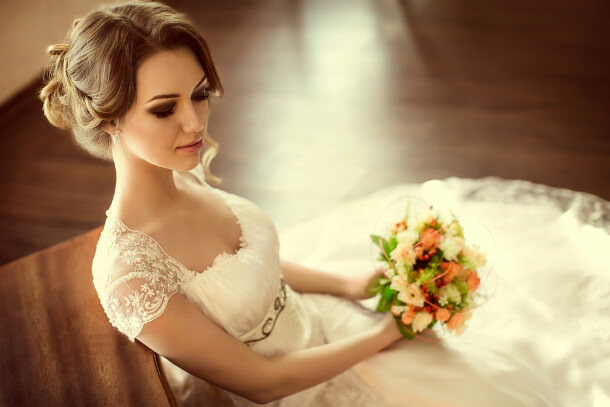 However, not every hairstyle is appropriate for every situation and brides to be should think long and hard about how best to style their hair in order to perfectly complement the neckline of their dress. For example if you have a lot of embellishment along your neckline then you are going to want to opt for an up-do that doesn’t cover up any of the design. Read on to find out which hairstyle best goes with your neckline. Whether it consists of lace, bead embellishments or mesh, dresses with a high neckline are designed to be flaunted so the last thing you want to do is to hide it away behind your equally stylish locks. With this neckline make sure you choose a hairstyle that leaves your neck and shoulders completely bare. A top knot is a good option and make sure all of your hair is up as loose locks can distract from the dress. Depending on what kind of look you want, there are two options you could go for with a one-shoulder dress. If you sweep your hair to the side of the exposed shoulder, it will balance out the dress whilst still showing the elegance of the neckline. Alternatively, a low up-do such as a messy knot with loose bangs will show off the neckline in all its glory and makes for a bolder look. If your dress is taking on a more Bohemian look by incorporating spaghetti straps then you will want to compliment this style with long loose waves that give off an “I woke up like this” vibe. This sweet, girlish look is both beautiful and, fortunately, relatively easy to accomplish. Spice up the do by adding some flowers to your hair or braiding your bangs. 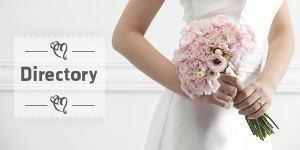 Those who have chosen a strapless wedding dress will find that the world is their oyster when it comes to hairstyles. A low chignon will show off your exposed skin and accentuate the effect of a strapless dress whereas tousled waves will balance out the dress with grace and elegance. Both are equally stunning so see which one suits you best.